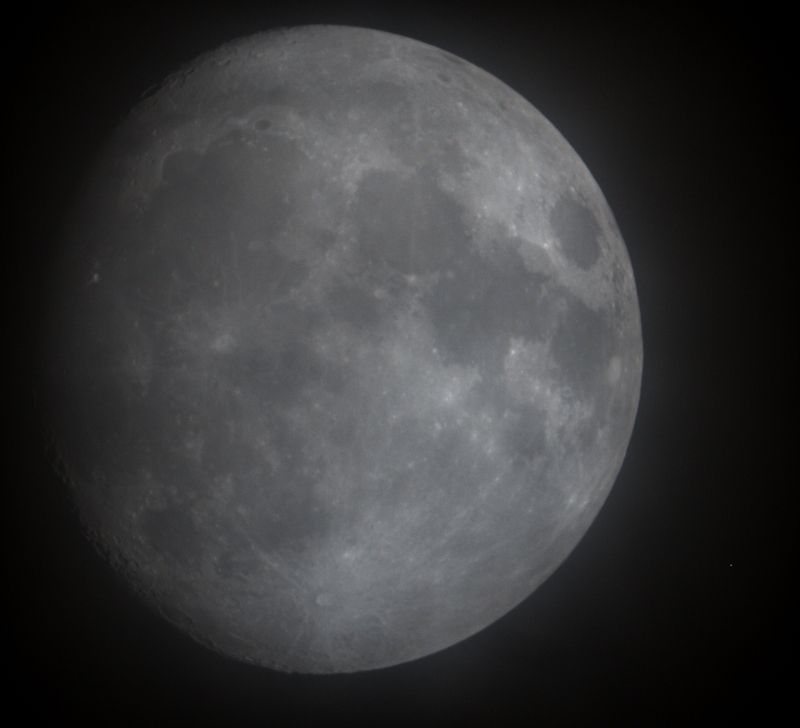 Here is an image of the reappearance of Aldebaran after the occultation by the Moon on the 30'th of December, 2017. The image was take through thick cloud that actually obscured the Moon at times. Aldebaran is the faint dot near the lower right corner of the image. See the Moon move in this short time lapse of Aldebara's reappearance from behind the lower right limb. This image was processed entirely in Images Plus. The image was stretched and multiscale decomposition used to tame the bright halo around the Moon. The imge was cropped and binned for web display.